It does not get any better than being selected to guide the development of the Asian Productivity Organization's manual to train the Business Excellence Consultants in most Asian nations including members from Japan, Singapore, Malaysia, Philippines, Mongolia, Thailand, Fiji, Taiwan, India, Cambodia, Vietnam, Sri Lanka, and Pakistan. I am grateful to the Malaysian Government especially the Prime Minister's Planning Group, MPC (Malaysian Productivity Corporation), and private organizations (Telecom Malaysia, UiTM, APHM, and IBN) for sponsoring my enjoyable and memorable work in Malaysia. 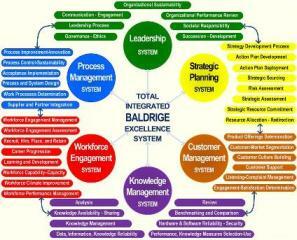 The honor of working with these organizations and the Prime Minister's Quality Award (based on Baldrige Criteria) Examiners and Judges will always be appreciated by me. 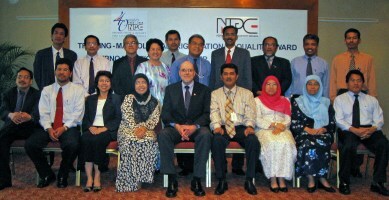 I am also deeply appreciative of the support provided by the APO (Asian Productivity Organization) where I am registered as a productivity and quality technical expert, and by the APQO (Asian Pacific Quality Organization)where I serve as lead judge for the winners of the national awards from all Asian nations. A special 'terima kasih' for Mr. Mohd Razali (MPC Deputy Director in photo on right above) for sponsoring me with MPC, MAMPU, and others since we met during my first visit to Malaysia.